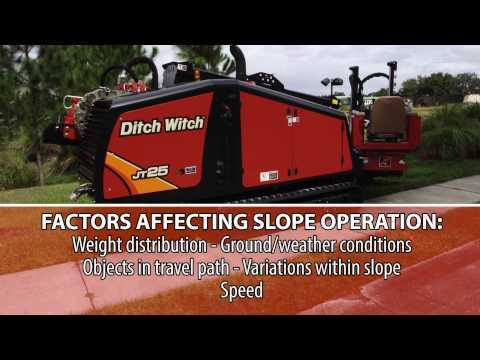 You wanted more power to perform all functions at once, the JT30 and its counterpart the JT30 All Terrain deliver. The most powerful and quietest in its class along with a heavy-duty anchor system make this drill productive. 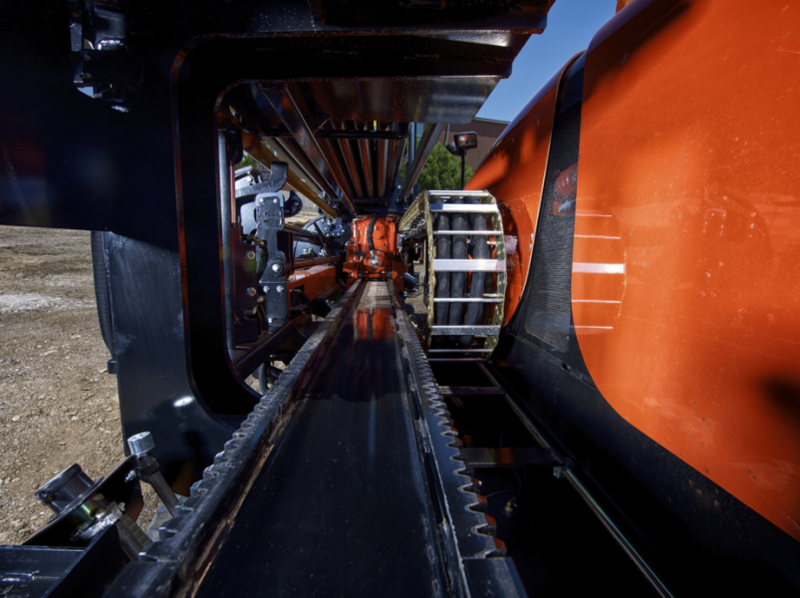 The industry-exclusive, double-pivot drill frame allows steep entry angles without raising the tracks off the ground. 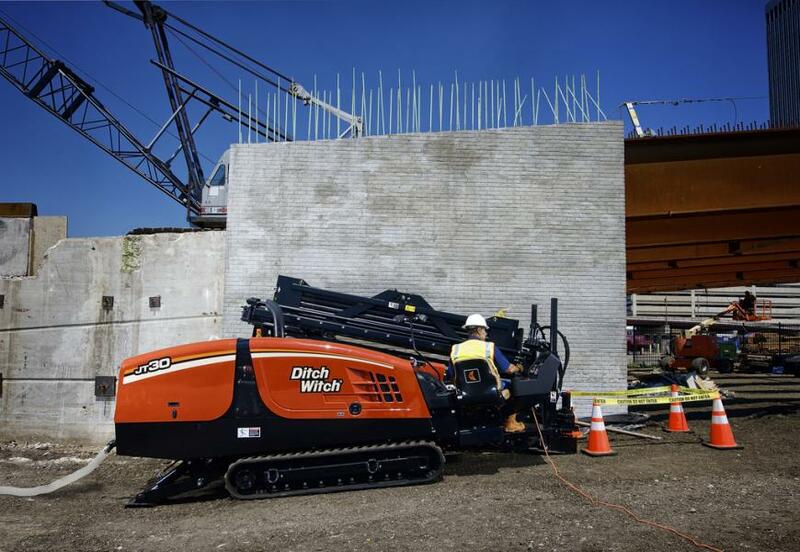 With the highest ratio of power to size, the JT2020 Mach 1 horizontal directional drill can install larger utilities in a wider variety of soil types, even on tight jobsites. 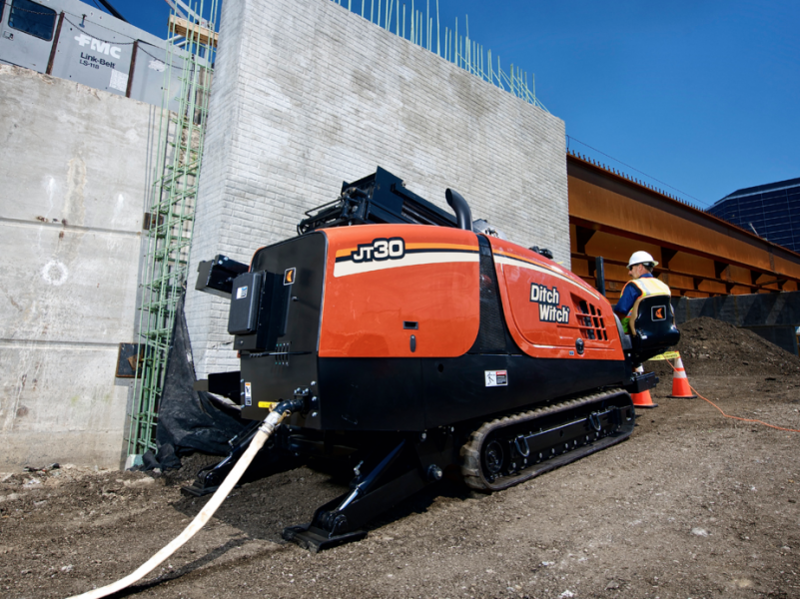 Quiet engine (only 103 dbA), for increased operator comfort and reduced environmental impact in urban areas. 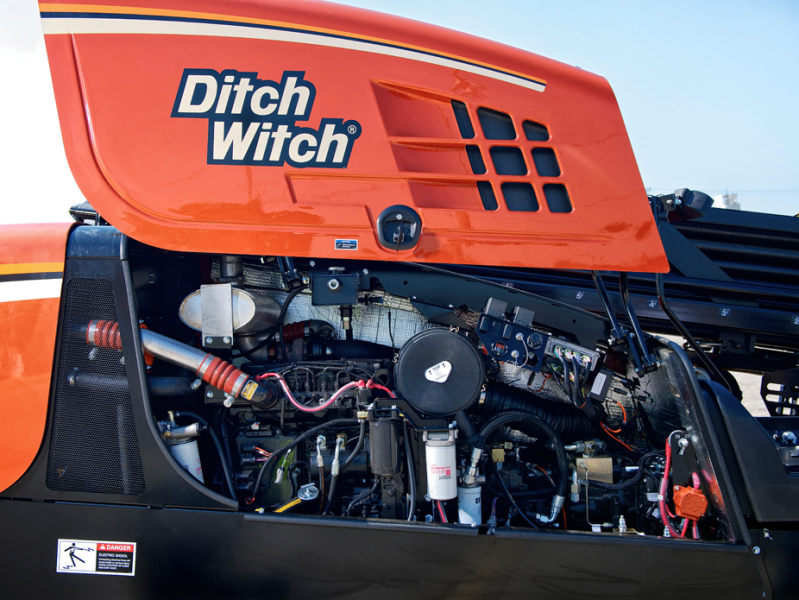 The Ditch Witch JT2020’s powerful Cummins diesel engine keeps running strong throughout the day with the help of an advanced, high-capacity cooling system. 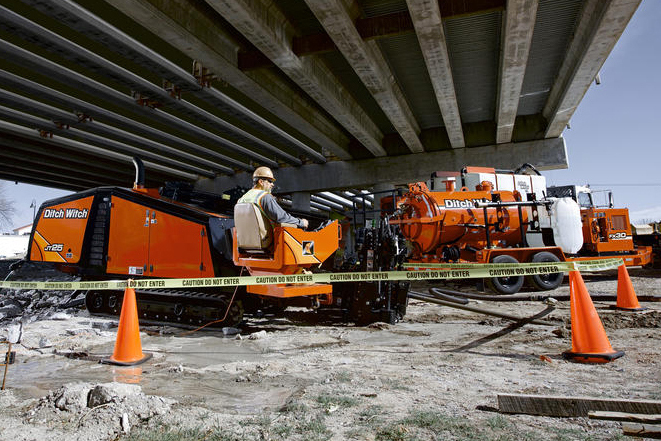 High fluid flow for longer utility installations and work in sandy conditions. 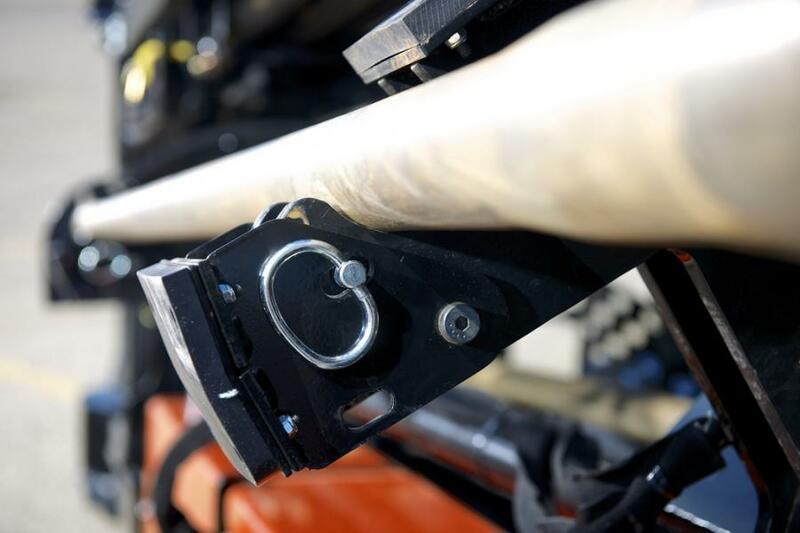 Operator station provides excellent visibility of the drill pipe and pipeloading system. Minimal drill maintenance; with no zerks to grease each day, you’ll spend more time working and less time servicing the unit. 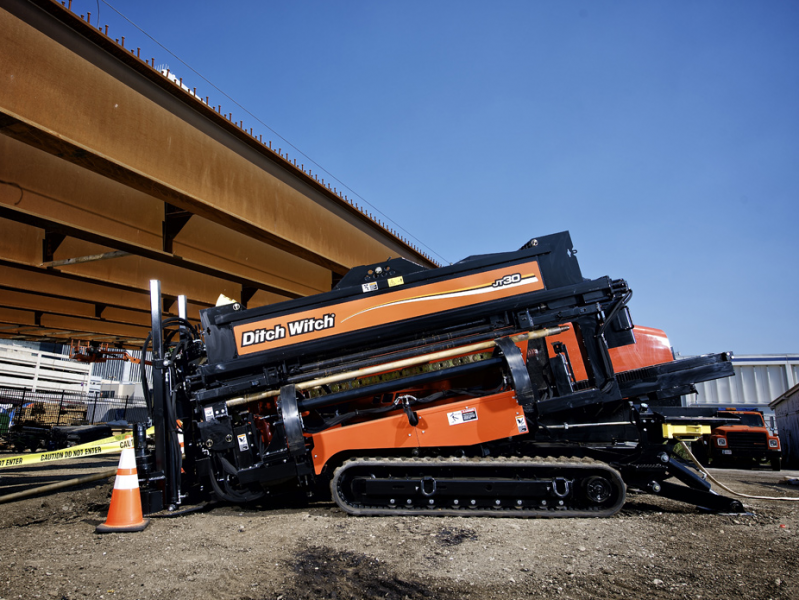 Tethered ground drive controller allows the drill operator to maneuver the drilling unit from a position that provides increased visibility, easier loading/unloading, and easier positioning. 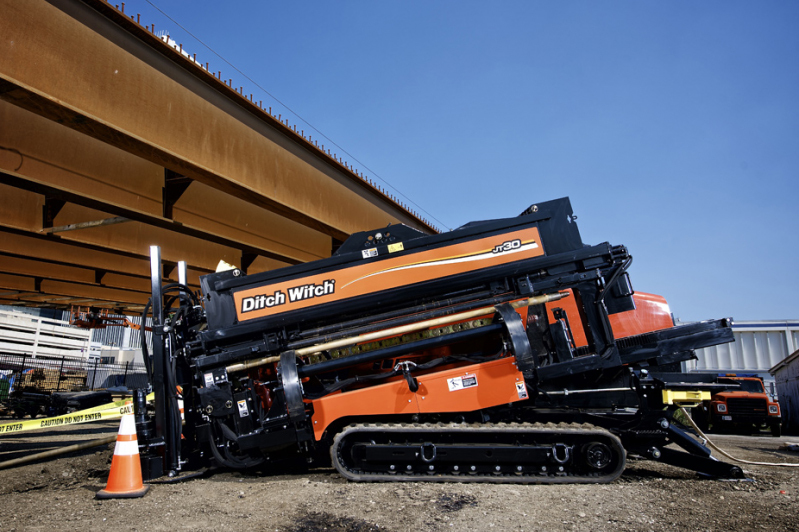 Two-speed carriage significantly decreases cycle time; assisted-makeup feature increases the life of drill pipe joints by automatically matching carriage movement speed with rotation during pipe makeup and breakout. 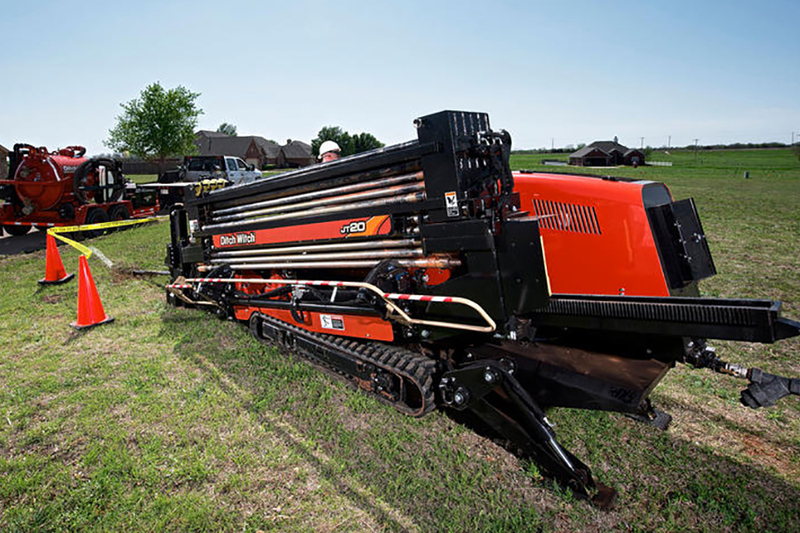 Rack-and-pinion thrust system provides outstanding power transfer and performance for a wide range of directional drilling jobs. 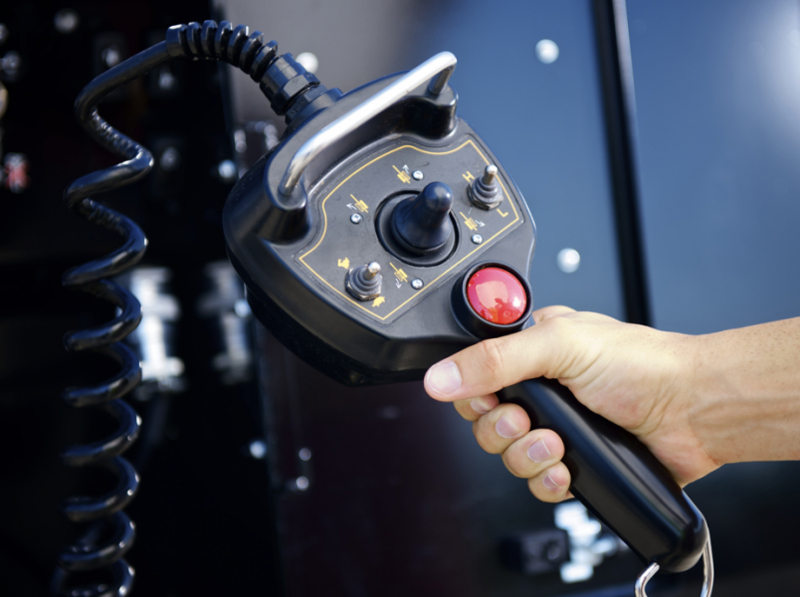 Cruise control simplifies drilling and backreaming by reducing operator effort. 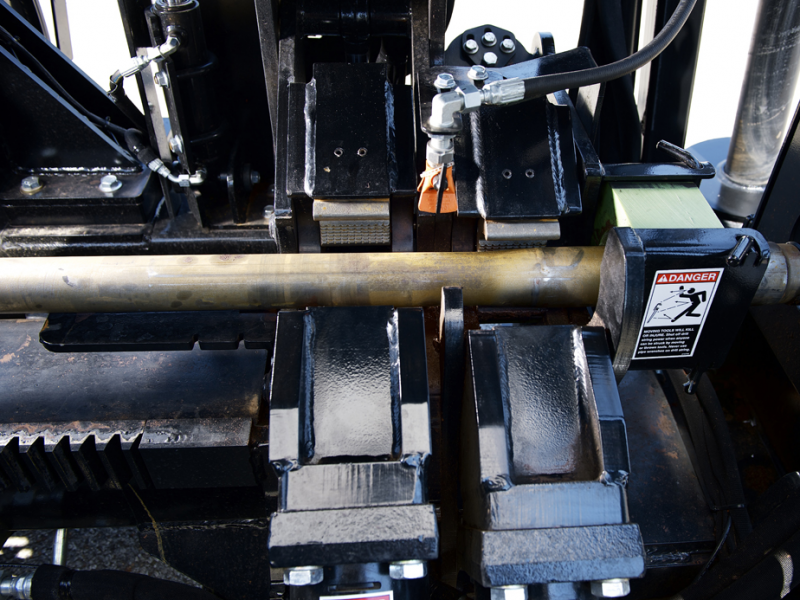 Large-capacity pipe lubrication system minimizes maintenance time by keeping contamination out. High drilling fluid pressure capacity. 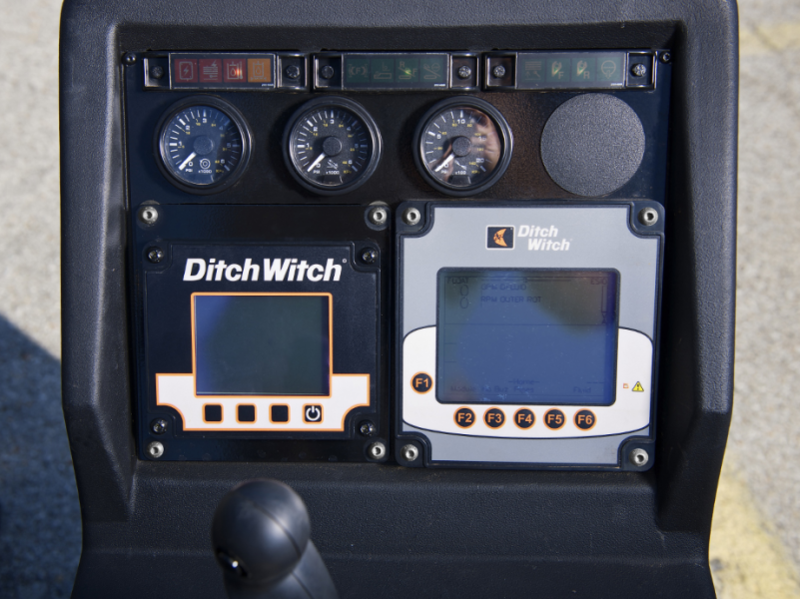 Engine enclosure directs hot engine air away from the operator, improves the machine’s appearance, simplifies maintenance, and allows operation in residential and other noise-sensitive areas. Enclosed fluid pump system is easy to winterize and helps keep pump warm during winter operation. 20,000 lb of pullback force, 225 RPM max. spindle speed. 17,075 lbs - w/ Cab: 17,975 lbs.